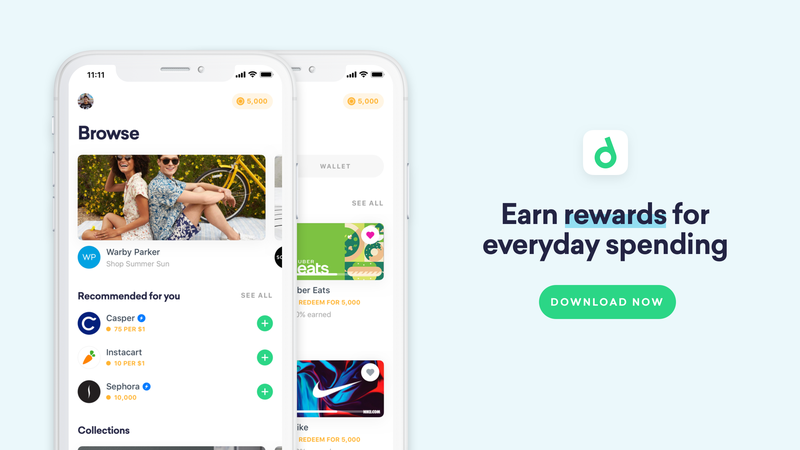 Drop let’s you turn everyday purchases into cash rewards. Start by downloading Drop and securely linking your debit/credit card. Then, shop using your linked card to receive points on each purchase. Redeem your points (1,000 = $1) for gift cards to brands like Starbucks, Amazon, and Whole Foods. Use code GIZMODO to get a 5,000 point credit (equal to $5) when you sign up. Full details here.